The Mashabim dining room offers guests a delicious, varied Israeli breakfast including eggs, cheeses, mouthwatering salads, dairy products, cereals, breads, cookies, and more. Lunch and dinner are also available in the dining room by prior arrangement. Both meals are served buffet-style and offer a selection of meat dishes, two starchy side dishes, and cooked vegetables, as well as a selection of salads, soups, fruits, cookies, and hot drinks. The dining room is kosher and seats 200 guests. Mashabim Country Lodging invites guests to enjoy its covered semi-Olympic swimming pool, overlooking the dreamy, sun-kissed desert. Open all year round, the pool is heated during the cooler winter season. During the summer, it is open on all sides but still shaded, so guests can enjoy cool water and a respite from the blazing sun. 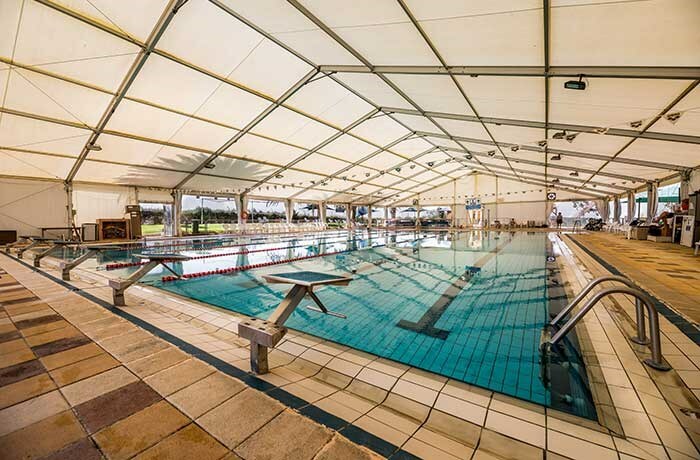 The pool area includes a changing room, restroom, and snack bar (not open all year), and is surrounded by lush green lawns complete with chairs and sunshades. Bathers are sure to enjoy a unique experience of peace and tranquility. Mashabim Country Lodging offers several conference halls ideal for meetings, seminars, and group functions of all kinds. Each hall is equipped with tables, chairs, and a screen, and some also offer a projector and sound equipment. The largest hall accommodates 100 people. Mashabim Country Lodging is home to gorgeous, sprawling lawns around the rustic guest room buildings. Guests are invited to enjoy the many barbecue corners throughout the complex, some of which have sinks nearby. Please note that guest rooms are not equipped with kitchenettes or kitchenware. 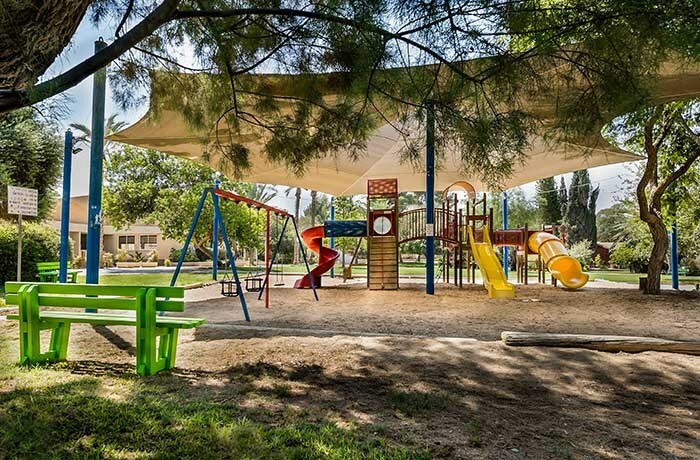 The kibbutz offers several children's playparks, a petting zoo (open in the mornings), and a dairy farm that guests are welcome to visit.